To become the prominent "Lechonan" busineness that provides quality products such as Lechon Manok, Liempo and its unique Chicken Sisig and Liempo Sisig that will be available thoughout the country. 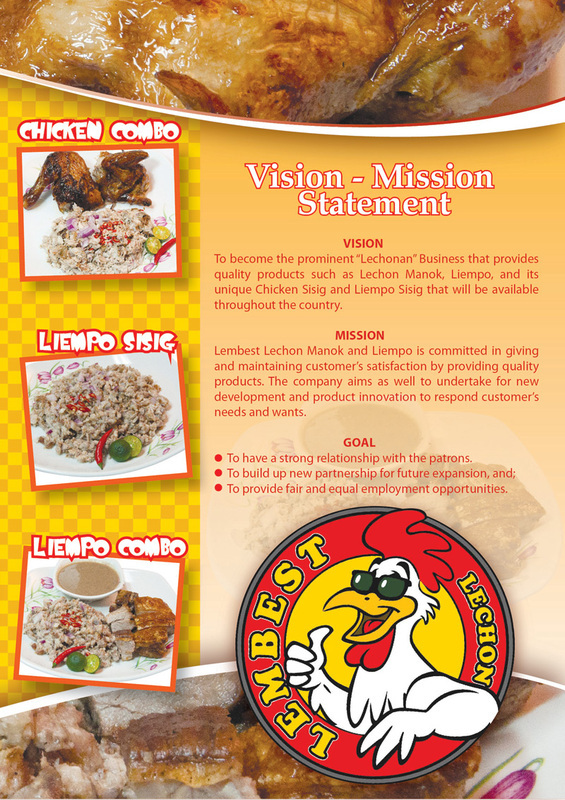 Lembest Lechon Manok and Liempo is committed in giving and maintaining customer's satisfaction by providing quality products. The company aims as well to undertake for new development and product innovation to reapond customer's needs and wants.